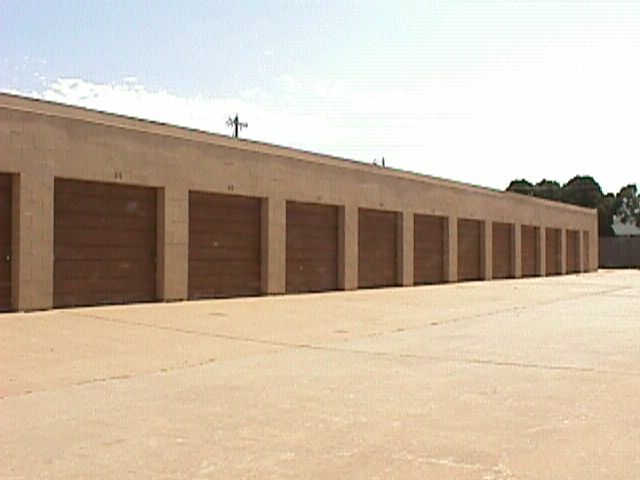 I-240 Storage is a safe, secure self storage facility located in south OKC, in the 73159 zipcode, on SW 74th and Penn, behind "74 South" Shopping Center. It's behind Papa Johns and the LED Lighting Store. You can enter off of Youngs, on the west side of the shopping center. We're American owned and locally owned. If you're finding storage units on Sparefoot, they are a national company that lists storage places and they take a commission. Call us direct. We do not offer "1st month free". That's just a way some places use to lure you in. They usually require a contract and as soon as that contract expires, they raise the rent on you, everytime the contract is renewed. We don't have contracts requiring a minimum time. There is a $40 refundable deposit you get back when it's cleaned out. We have many sizes to choose from. See prices below. Call the number above for availablility. 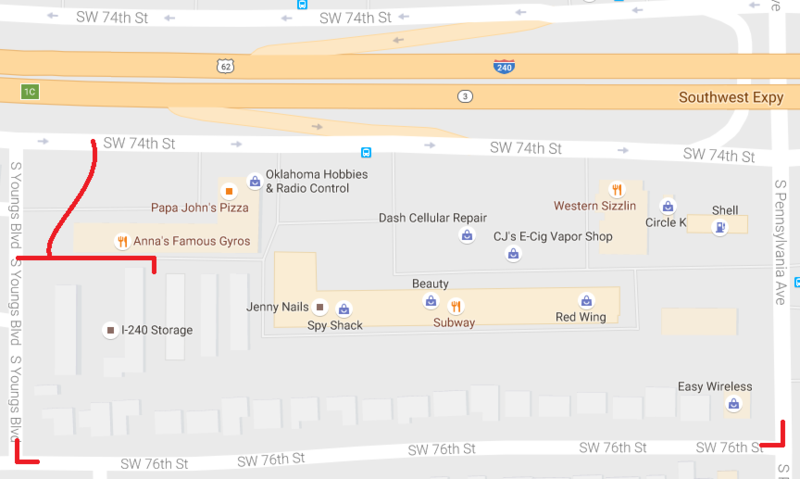 The best way, if going Westbound is to take Penn and go through the parking lot of the strip mall. If going Eastbound, Take May and stay on the service road. Turn right on Youngs, then left. It is behind 74 South Shopping Center. © 2019 Linville Properties L.L.C.